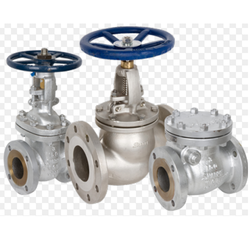 Pioneers in the industry, we offer ss gate valves, stainless steel sanitary unions, stainless steel y strainer, stainless steel valves, stainless steel globe valves and ss ball valve from India. 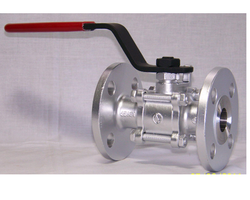 Our customers can avail from us a wide range of SS Gate Valves. These valves have corrosion resistant finish and are also durable in nature. Owing to low pressure drop facility, these bronze globe wheel valves are coordinated for controlled applications. Available Sizes 1" to 4"
The Stainless Steel Sanitary Unions are specially designed for flawless fitting applications in industries where hygiene is the utmost requirement. These are manufactured in compliance with SMS, RJT, DIN and DS standards and are available with weldable and expandable end connections. Available in various sizes, gaskets and finishes, these can also be customized as per the detailed requirements of clients. 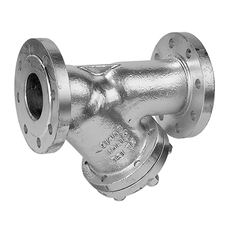 Our Stainless Steel Y strainer are designed for longer service life and high performance even after consistent use in extreme and testing environments of high temperature and pressure. Our Y-strainers are designed for improved efficiency and trouble free service. 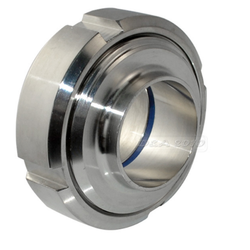 These are easy to install and prevents the introduction of foreign matter in the pipelines. We specialise in manufacturing, trading, exporting and supplying a wide assortment of Stainless Steel Valves. 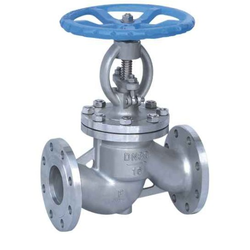 Port Size 1/2" to 10"
Our company holds the specialization in the manufacturing, supplying and exporting of best quality Stainless Steel Globe Valves. These valves are manufactured using cutting-edge technology, advanced machinery and quality tested metal. To ensure the delivery of flawless range, offered valves undergo several quality checks by the quality controllers. 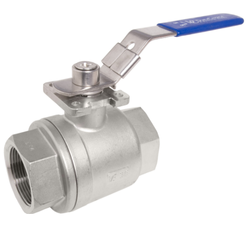 Looking for Stainless Steel Ball Valve ?